Sneaking in this last weekend, Halloween made it’s way back to the shop. New for 2014 is Freddy and Jason. Halloween themed colors are available thru October 31st. Due to variations between monitors, color images displayed here are an approximate representation. 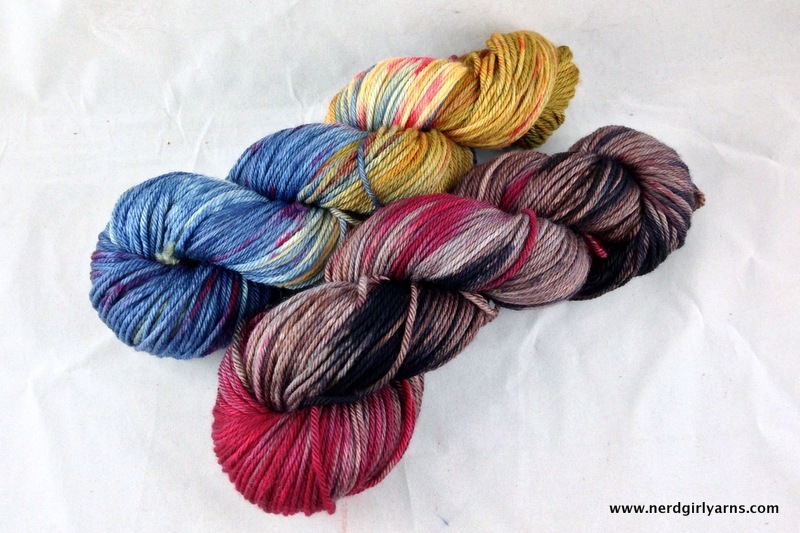 None of the colorways created by Nerd Girl Yarns are endorsed by, imply endorsement or have or imply an official connection with characters, films or rightsholders they are inspired by. I am So Excited for the update tomorrow! Everything is rolling over at midnight, there won’t be any OOAKs in this update but there will be the in stocks used for the final photos of the dyed to order colorways.